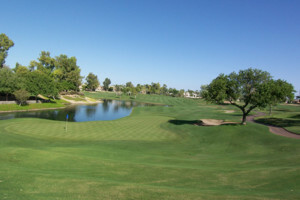 The condos of 7400 are nestled along the first and second fairways of the Lakes Golf Course. Lake, mountain, and golf course views are available from many of the units, and you can choose from three different floor plans, all with 2 bedrooms, 2 bathrooms, and a den/office. When you arrive at 7400, put your car away. You won’t need it! The Gainey Ranch Golf Course, the Hyatt Resort, and the Shops At Gainey Village are all just steps from your door!